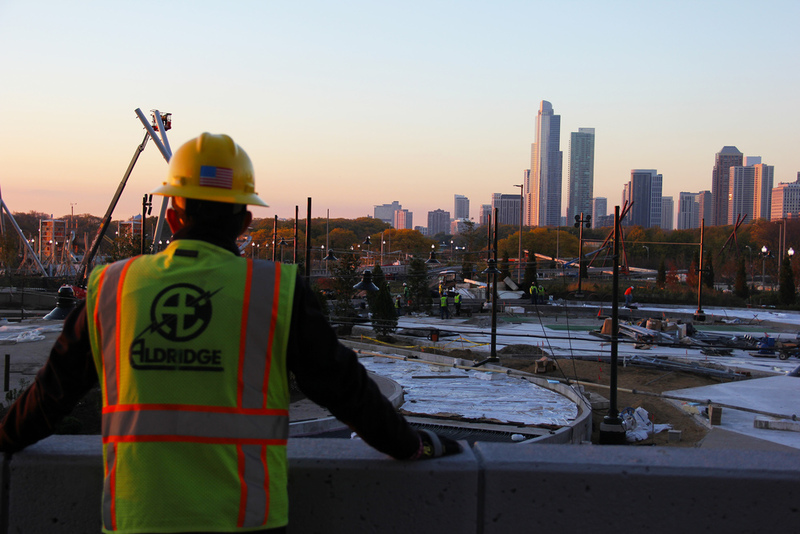 Aldridge was a subcontractor on this project, building a world renowned park in the heart of downtown Chicago. Connected to Millennium Park by the BP Bridge, the Maggie Daley Park spans approximately 20 acres and is dynamic, sustainable, and multi-functional. Aldridge’s scope includes approximately 25,000 lf of conduit and wire, construction of a new switchgear, pole & fixture installation, and integration of a wireless system. Key features of the park will be illuminated by hundreds of uniquely designed light fixtures that are controlled wirelessly from a single computer.